Over 2014 we supported ten voluntary health organisations to develop fit for purpose websites, to improve their visibility and credibility with funders and service users. Now you can see the results and hear the project’s story through our specialist webpages: Digital Inclusion for Health. The project was VHS’s response to some of our smaller member organisations telling us that they either had no website at all or only a very poor website. The common issue was both a lack of resources and a lack of specialist skills. Having a strong digital presence is crucial these days for any organisation, not least voluntary health organisations needing to promote their services to the public, funders, local authorities and the NHS. So VHS set out to give ten voluntary health organisations a new, fit for purpose website. With funding from the Scottish Government Patient Support and Participation Unit we worked in partnership with website design cooperative, the graphics coop. 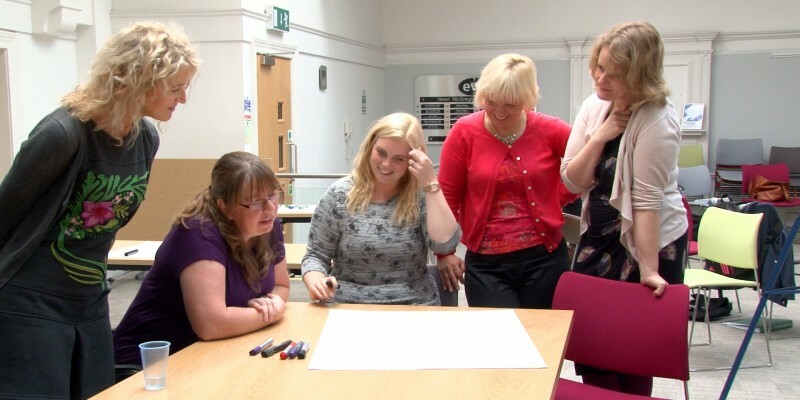 Now our Digital Inclusion for Health web pages tell the story of the ten organisations, showing their ‘before’ and ‘after’ websites, and explains what the participants learned during the course of working on the project. Edinburgh M.E. Self Help Group (edmesh) a self help group for people with M.E.